Ships today if you order in the next 5 hours 7 minutes. 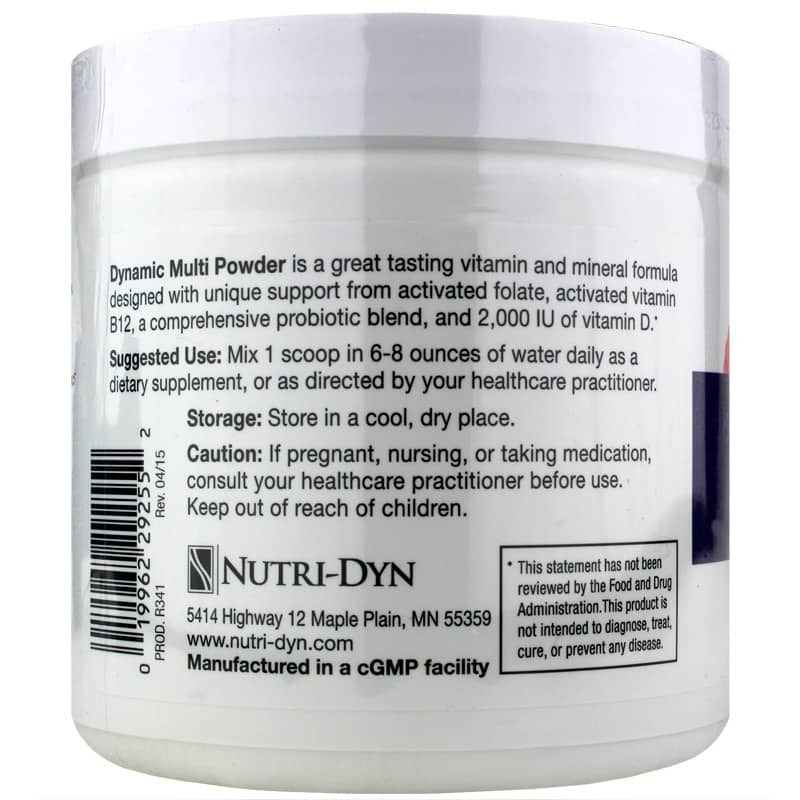 Dynamic Multi Powder Berry by Nutri-Dyn is a vitamin and probiotic dietary supplement that provides support for a healthy immune and digestive system. 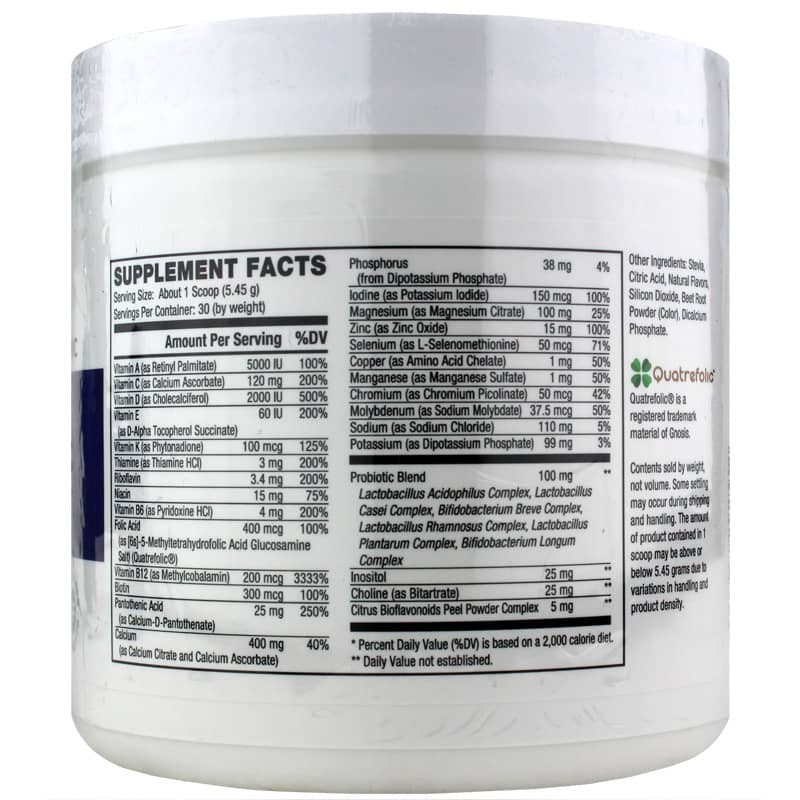 Each measured scoop contains vitamin B6, which supports up to 100 different forms of enzymes in the body; B12 which supports a healthy blood and nervous system; and folic acid, which is thought to help maintain healthy cellular production. Calcium, manganese and thiamine, among many other nutrients, may help this supplement to support the many functions of the body. The inclusion of probiotics may also support enzymes in the digestive system which primarily live in the upper tract of the Intestines. Considered "'good" bacteria', these microorganisms may help to promote a healthy immune system. 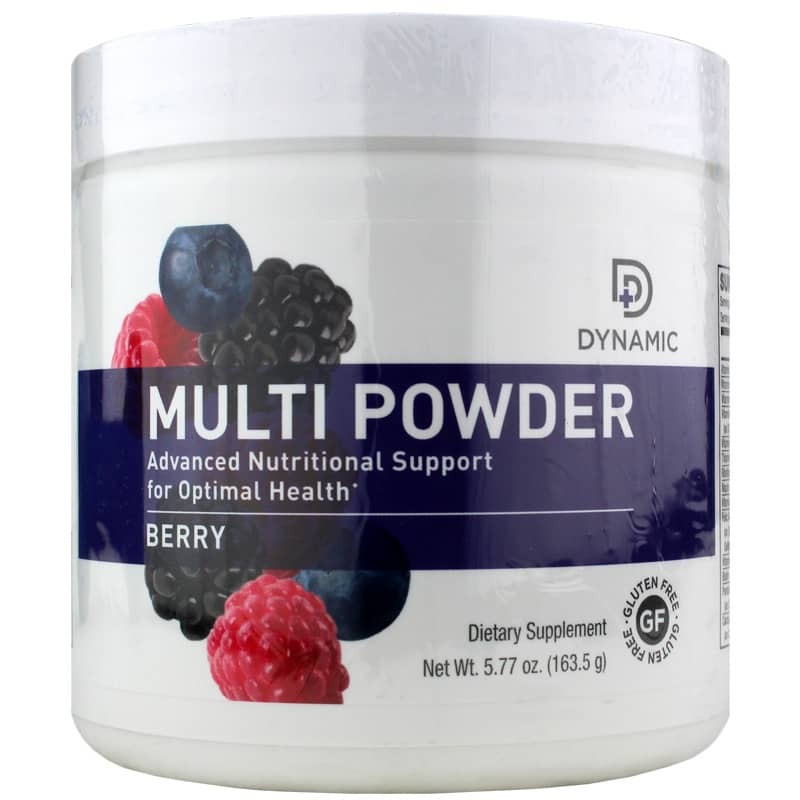 Dynamic Multi Powder Berry by Nutri-Dyn seeks to supplement the body’s ability to store vitamins from the foods we consume to promote a healthy immune system. Other Ingredients: Stevia, citric acid, natural flavors, silicon dioxide, beet root powder (color), dicalcium phosphate. Adults: Mix one scoop in 6-8 ounces of water daily as a dietary supplement, or as directed by your healthcare practitioner. If you are pregnant, nursing, or taking medication, consult your healthcare practitioner before use. Keep out of the reach of children.